When entering text that is going to be written by VideoScribe right to left you currently have to enter the text backwards which is not easy to do. 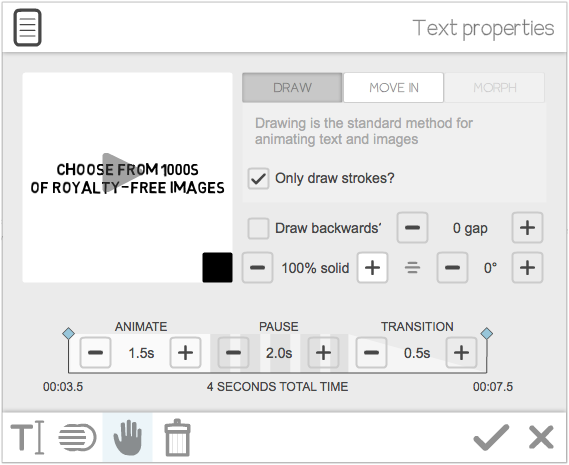 Could VideoScribe be changed so that when Draw Backwards is selected the text is entered right to left as well? I have the newest version, and im looking for the "draw backwards" option, for writing Hebrew. I'm now using version 3.0.9-3, so i don't know about the newest version. Have you added your text to the canvas and then right-clicked it to view the properties menu?